Publishing Next is organized by CinnamonTeal Publishing, a Margao (Goa)-based publishing house that provides publishing services to authors and publishers. The conference is aimed at providing a platform for publishing professionals to meet and discuss the issues that they are most concerned with. With an eye on the future and the new business practices and technologies that publishing professionals can hope to encounter, the conference also focuses on current issues, especially with reference to Indian language publishing. The conference is held each year in September. In 2014, we also had a one-day conference during the New Delhi World Book Fair in February, organized in association with National Book Trust, India. Besides the two co-founders, ​the conference is also guided by an advisory body. This body plays a large role in shaping the conference and charting for it a distinct identity, and the audience it should primarily target, and deciding the issues it should address through various panel discussions and workshops. Our team of professionals will never let you choose a bad book and will make sure that your expectation will finish with a smile! 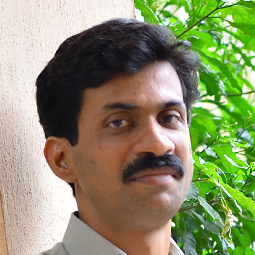 ​Leonard J Fernandes co-founded dogearsetc.com, an online bookstore for used books in 2006 and CinnamonTeal Publishing a year later, thus pioneering the business of providing publishing services to authors and trade publishers in India. Leonard has completed his B.E. (Mechanical) from the Goa Engineering College and his MBA from the Ohio State University. Leonard has previously worked for Tata Infotech Solutions and has had stints at Anthem Blue Cross Blue Shield (Cincinnati), CarrefourSA (Istanbul), and at Bank One, later JP MorganChase,(Columbus). In 2010, he was awarded the Young Creative Entrepreneur (Publisher) Award by the British Council. Queenie R Fernandes, qualified with a Masters degree in Economics from Gokhale Institute of Politics and Economics, is co-founder of Dogears Print Media Pvt. Ltd, an online bookstore, and of CinnamonTeal Publishing, its publishing arm. Queenie overseas the day-to-day operations of the company which provides publishing services that include e-book development and distribution, digitization and archival. 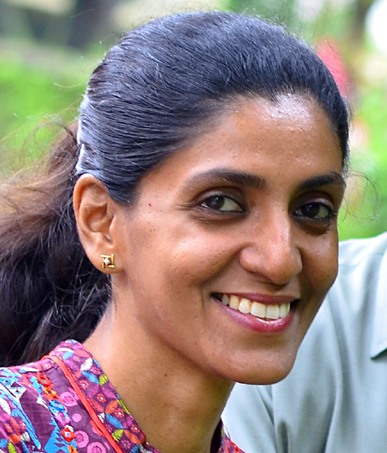 Prior to that, she worked on several research projects for various organisations such as Maharashtra Industrial and Technical Consultants Limited (Mitcon), Pune, and Gokhale Institute Of Politics And Economics, Pune; and has worked on the India-Irrigation Impact Study Project of the International Water Management Institute (IWMI), Colombo, Sri Lanka.